A weekend trip to Whistler during the winter is always something I enjoy. 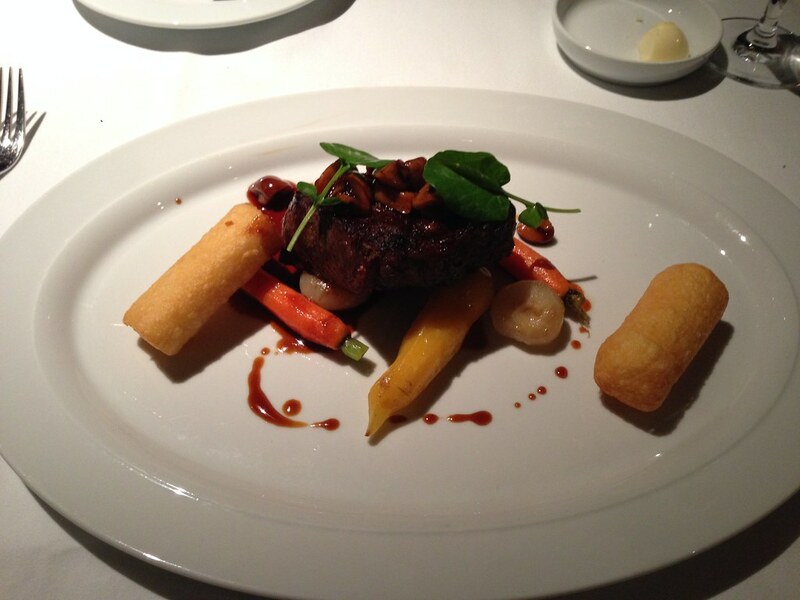 And what better way to cap a day of skiing than a dinner at Araxi. I have always found Araxi to be one of the best dining spots in Whistler Village and while it is not cheap, the food is of a certain quality that makes it worth it! Araxi can be found in the main village square underneath the Blackcomb Lodge and opposite the grocery store. It is quite centrally located since it is in between the gondolas and the rest of the lodges in Village North. 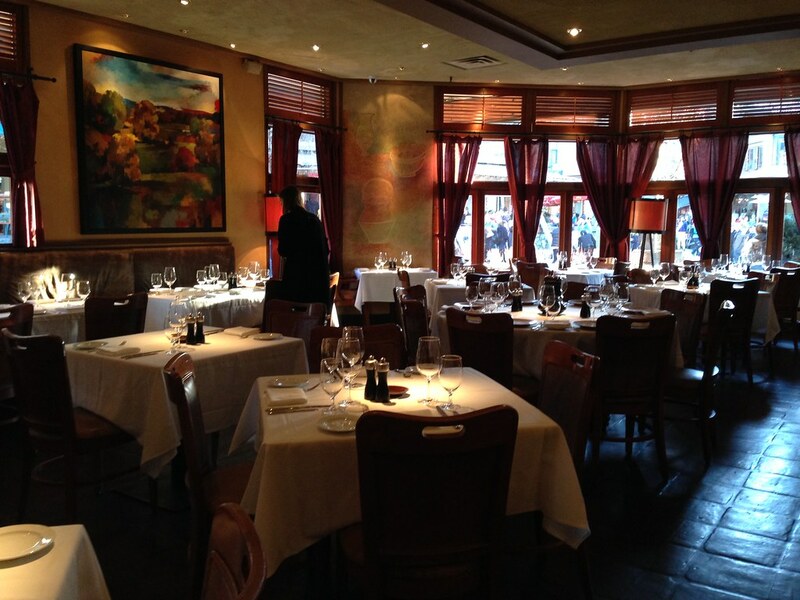 The restaurant interior is very comfortable and even though it is usually packed, the ambience is one that is refined. Service is naturally excellent for a restaurant of this calibre with frequent top ups of water, with a dedicated server that will take orders, clear up the tables of bread crumbs and check up on guests once in a while. Reception at the entrance will also take your winter coat for storage and are generally friendly. This review will take into account several visits over the last winter season. One of the most affordable time to enjoy a meal snack is for apres-ski between 3 to 5pm, where the restaurant has a limited menu served by the bar. The most popular would be 10 for $15 BC oysters, and they have a different variety based on the catch of the day. Another special would be the cheese fondue and truffle fries. 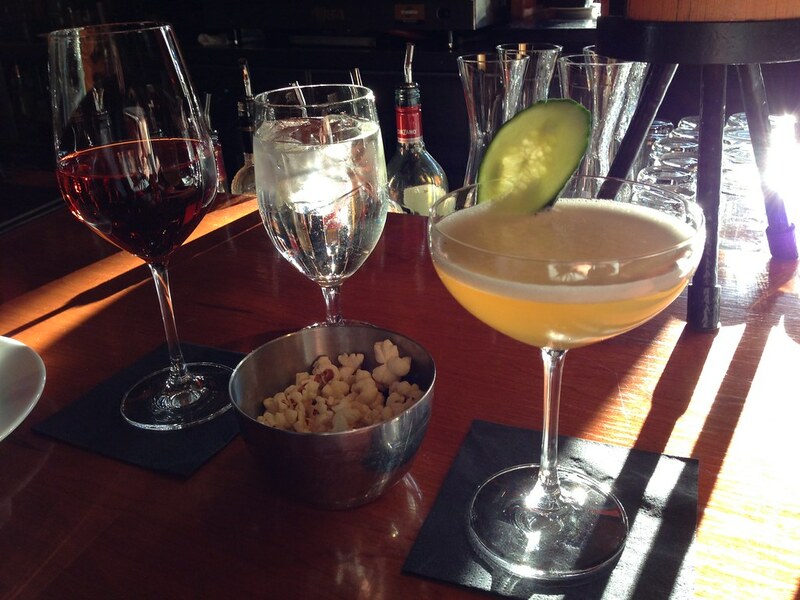 There is also a wide selection of cocktails and one of the most diverse wine offerings in Whistler. This time I ordered the Symphony mocktail which contains ginger, lemon, honey, chamomile and elderflower. A drink that rejuvenates and refreshes after a day on the slopes and what makes it even better is it is named after one of the ski bowl in Whistler. Another thing that makes apres in Araxi satisfying is the bowl of truffled popcorns that they serve. With the value-for-money oysters that are served with lemon and horseradish (though hot sauce can also be requested), it is a perfect way to wind down the day. 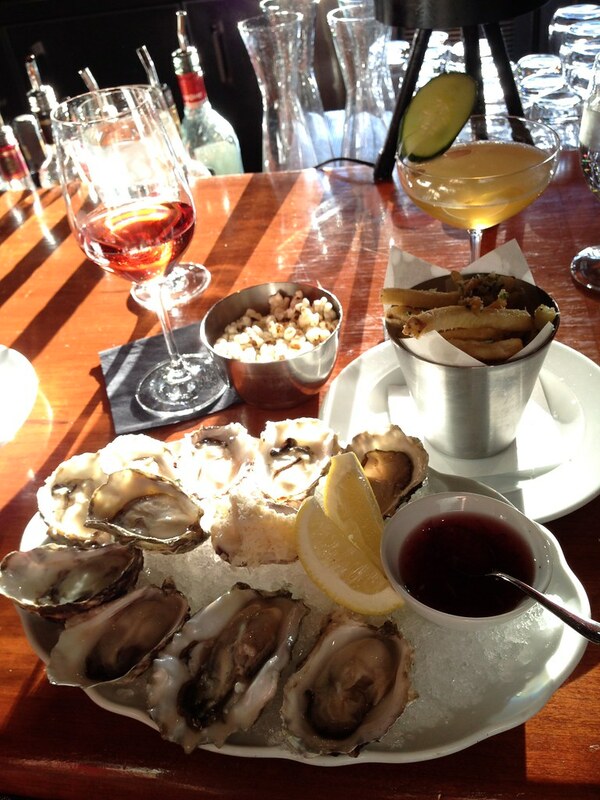 Oysters are served fresh and really good, and that is from someone who is a casual oyster eater. Thus it is no wonder that seating for the apres-ski is on a first come, first served basis, and it is very packed on weekends so do head there early around 3pm if you expect to even order some cheap oysters. Another way to enjoy oysters in the restaurant is during dinner service where the BC oysters five ways is a classic on their menu. 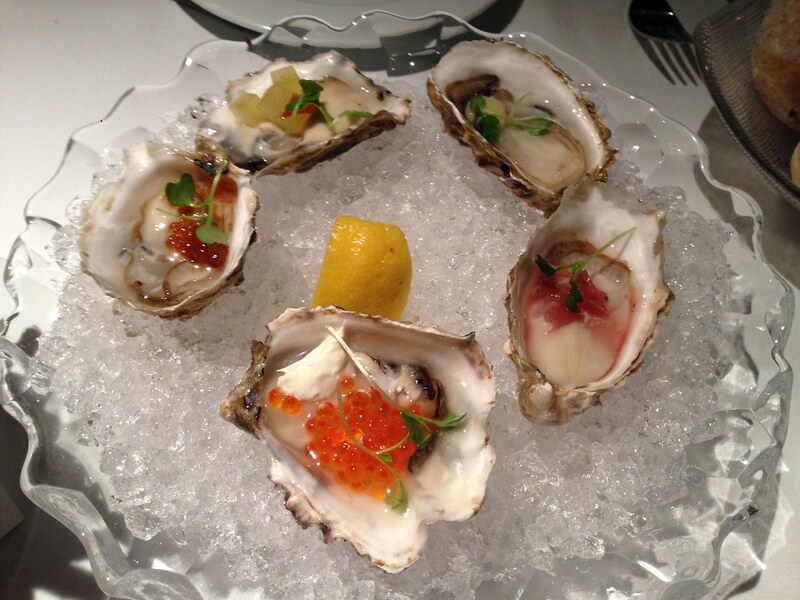 Simple additions to the oysters create a beautiful presentation and adds a wonderful texture to the dish. One of my favourite appetizers in the restaurant. Like many restaurants, Araxi serves a bread plate for diners, usually even before orders for food are taken. 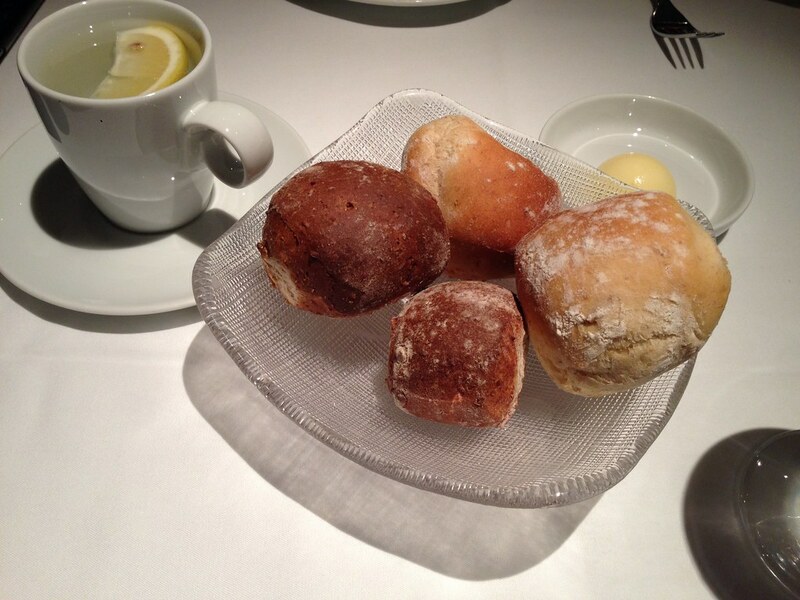 The bread are served warm and there would usually be 2 types, a sunflower or a potato bread mostly. Even though I am not a big fan of bread and I try to leave some stomach for the main course, these bread are tasty! I have dined at Araxi numerous times and every time they have different specials that ensures it is rare for diners to be eating the same thing when they return. Being a fan of foie gras and generally all fatty food, I have had pates and seared versions here before though the last one I had which was a foie gras special that was served with crumbles and some fruity puree was the best one. Too bad I couldn’t remember the exact details of this dish and neither does Araxi places it on the menu since it is a special of the day. Araxi does beef very well and they will stock up on different varieties over the season, though there would be a minimum of 3 choices and some of the best steaks I had in Canada is from Araxi. It is always cooked with finesse and lightly seasoned. Amongst the 2 recent ones I had, there was a 22oz bone-in ribeye that is probably best to be shared so that diners can enjoy other dishes. On another occasion I had a 6oz wagyu ribeye. 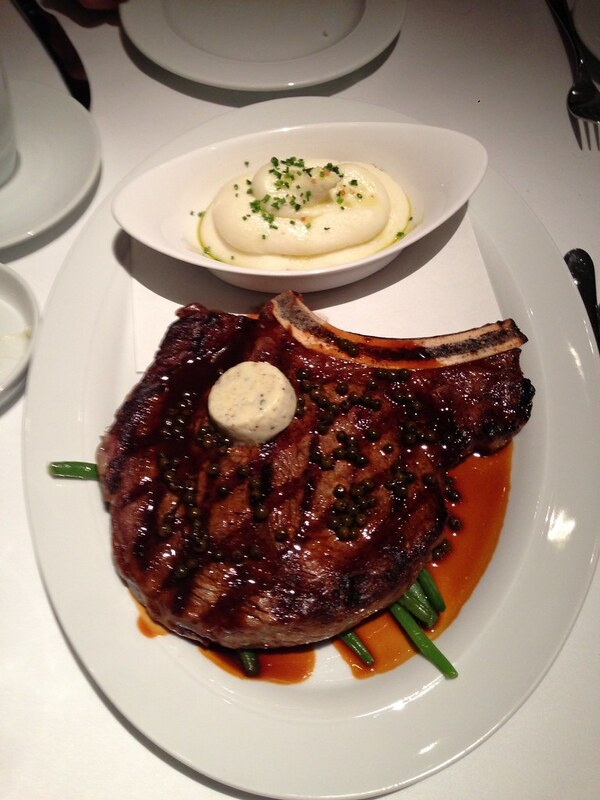 Both are great though I would give a slight nod towards the bone-in ribeye as it was more of a pure steak dish and the meat was just of the right mix of juicy with a meatier flavour. Aside from steaks, Araxi also does fish very well. From seasonal cuts ranging from salmon, arctic char to halibut, their catch is always tasty and well cooked. I think the details and side dishes add another dimension to the fish dish. Finally for dessert, a classic to order here would be the chocolate fondant lava cake that is usually served with earl grey ice cream. This restaurant does this dish particularly well though sometimes when I eat here, I might give dessert a miss since I get too full by the time I reach this menu. Though on a recent occasion, I shared a passionfruit bavarois with my dining partner. 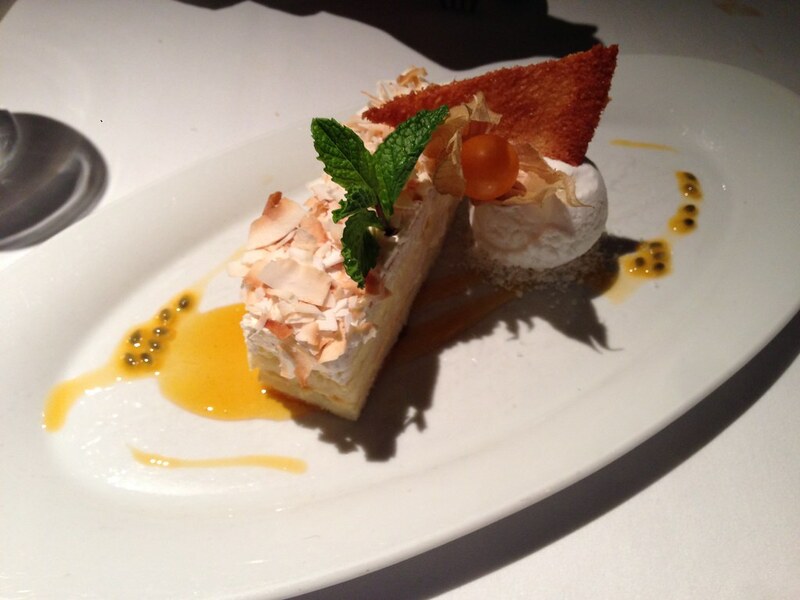 This dessert is particularly light and the chiffon cake is soft and not too sweet. With the mango syrup, the whole flavour is tangy and sweet with that fruity aroma that probably reminds you of summer. Again, the whole combination of flavour was perfect. Though the coconut ice cream could be better, so that is the only quibble. All diners will eventually be served petit fours at the end of their meal and this little touch is a bit like a mini-dessert. 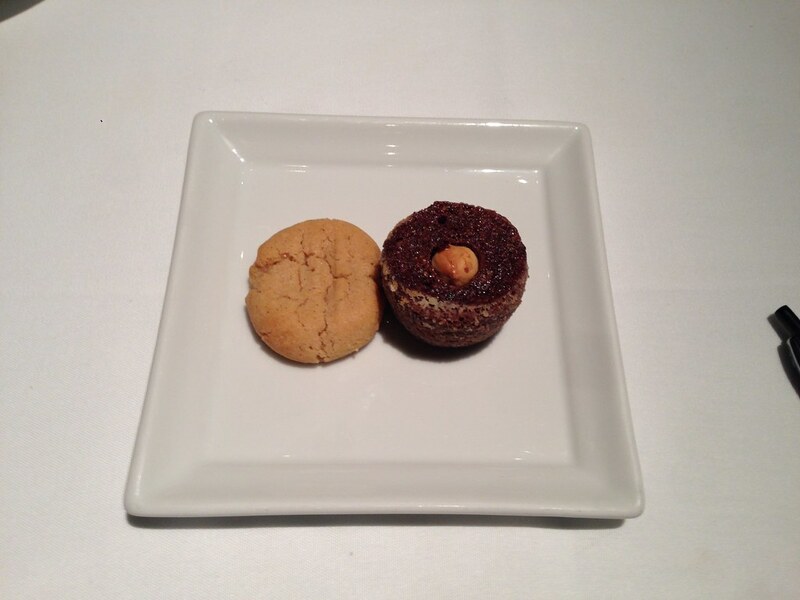 Probably why I tend to skip dessert sometimes, because these little treats are delicious and sometimes I even want to ask more from them to bring home! The thing about Araxi is that it is a restaurant where you can enjoy a snack, have a one-course casual meal comfortably to having a fine 3-course spread for a special occasion and each time you would leave happy and satisfied. Precisely because of this reason, Araxi is perhaps one of my favourite restaurants in Whistler/Vancouver. 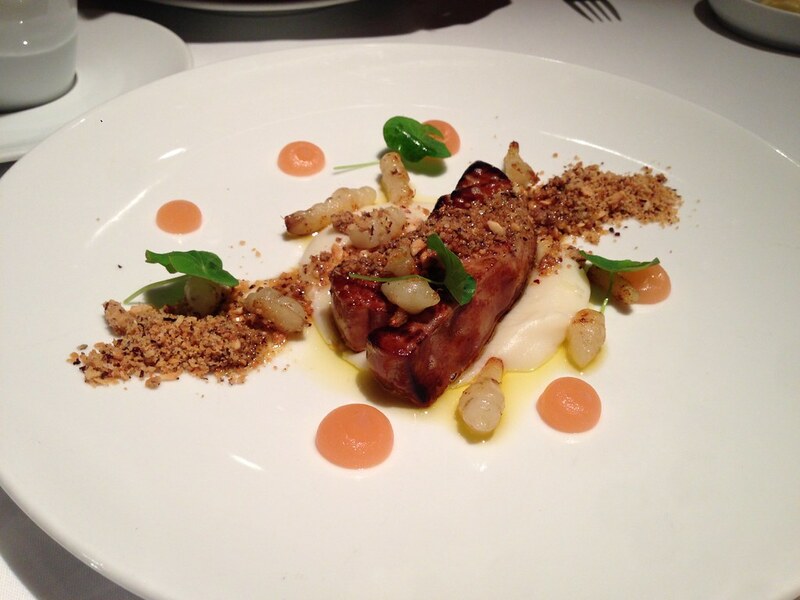 For those not able to head to Whistler, the restaurant group also manages a couple of other restaurants in Vancouver.